Flores has a unique and diverse culture and a rich history; it is one of the reasons why adventures and explorers make it a point to visit Flores. Even though the majority of the island is Catholic, the protection of ethnic traditions is important to the people of Flores, more important than religion or religious differences. Therefore, people of various religions are living harmoniously side by side and even though they all have their own religious beliefs, they still practise and integrate ancient traditions and practises into their everyday lives. This is reflected in their rituals, culture, performances and ceremonies, which are major attractions for foreign travellers. One of the biggest ceremonies that are very popular with visitors is the ritual of Thanksgiving called Penti that takes place every November in Manggarai at the Wae Rebo Traditional Village. This ritual celebrates last year’s harvest while offering prayers for a good new agricultural year. The celebration is of such huge importance that all villagers will participate. Penti is a great opportunity for you to witness a series of ancient rituals but the highlight is the Caci Dance, which is a traditional martial art dance performed by warriors using whips and shields. Another ritual of Thanksgiving is in the Sikka District called the Gren Mahe ritual held by the Tana ‘Ai Community. 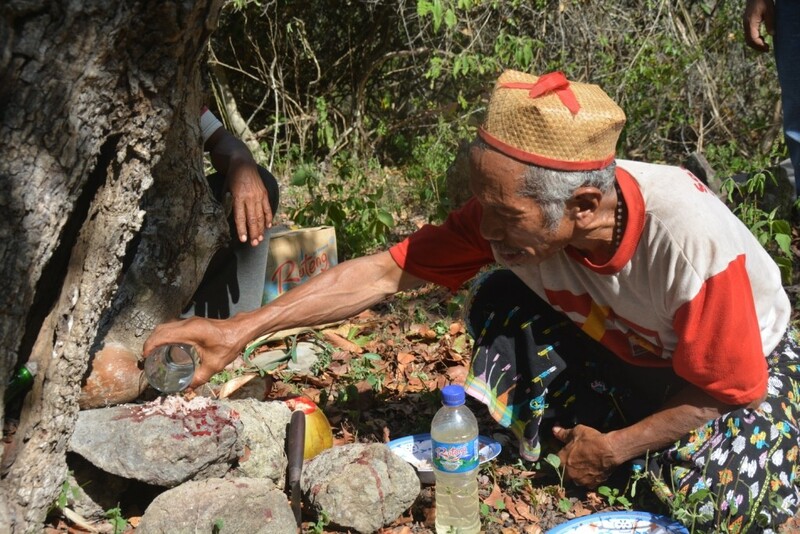 During this sacred ritual, the villagers show respect and appreciation to Ina Nian Tana, Mother Earth, and Ama Lero Wulan Reta, Father Sky. The exact time and day of the ritual will depend on the village elders and on the economic situation of the community. At the foot of the Mountain Komba in Lekolembo, every year before the planting season starts, the traditional ritual TiiKa Embo is held by the Motu people. This ritual is held to honour the ancestors of the Motu people with presentations of food and offerings. It may be smaller than other rituals but will also feel a lot more personal. Most travellers will go to the big ceremonies but if you rather enjoy something more modest, this might be the ritual for you.